Wednesday, May 13, 1914: Tried to turn milliner and fix up a hat. Mad over the shape, also dyed it with shoe-blackening. Later in day I missed the wonderful creation on which I had spent so much energy. It ended in Ma fessing that she had burned it. All that time wasted too. Oh my. I know that I should be respectful since you are my great grandmother. but how dare you destroy your daughter’ s self-esteem by burning her creative efforts? Maybe the hat was ugly, but couldn’t you have waited a couple days to destroy it? Posted on May 13, 2014 May 13, 2014 by SherylPosted in FashionTagged 1914, family history, genealogy. ‘Oh my’ seems a very restrained response from Helena. Was her mother usually this way? If not perhaps your GG had interesting motivations we can only guess at … Self expression like your Grandmothers must have been so much harder back then! What an interesting diary entry. Wow – Grandma’s words do seem mild compared to what she’s describing…. how sad for her. That may have been one of those actions that her mother regretted in later years. I have a few of those…. Lovely, she would fit right in at the Kentucky Derby. 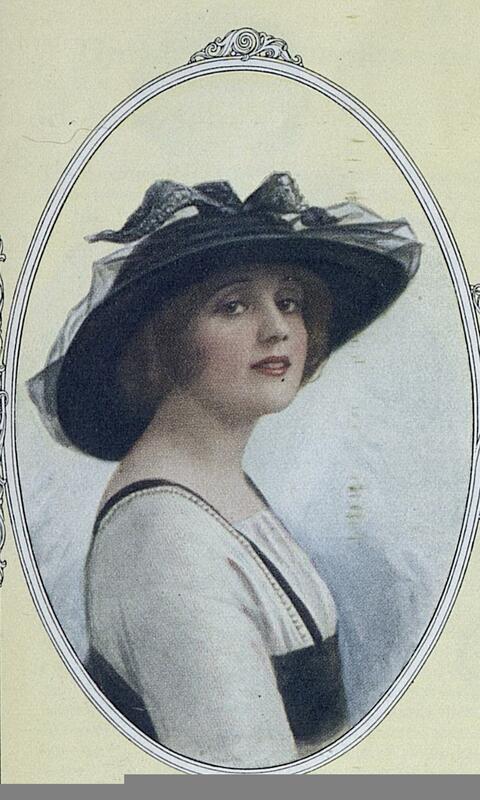 Too bad hats aren’t more in style these days. I smiled so much over Helena’s words/efforts. Youth really hasn’t changed much in 100yrs has it!? I can totally see my 20something daughter doing and reacting much as Helena did. ps. I can’t believe her granny tossed the hat in the trash! In defense of great grandma, would she even have known Helena was being creative? I have this idea that a shoe-blackened hat might not have looked like much . . . I miss hats and gloves. Used to be required for Sunday morning and I loved it! I read this at first as Grandma accidentally burning an area of it. But now, after reading the other comments, I wonder if she didn’t just toss it into the fire. Oh my. 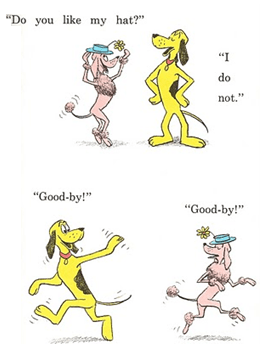 Do you know the children’s book Go Dog Go by P.D. Eastman? Do you think the hat was burned because it was too risqué? Wow, there’s so much more we want to know about this, what were they thinking 100 years ago, was the hat too risque? This one made me laugh out loud. Your grandma has such a way with words! But it really is too bad that her hard work was for nothing. Hopefully she learned a few crafty skills that came in handy at a later date. What strikes me is your grandma’s cool reaction to the destruction of her creation. The first thing I thought was shoe blackening might be extremely flammable – – and your Great Grandma set fire to the hat? awwww, so disappointing. I wonder why?